New Serbian Ring Design COMING SOON! 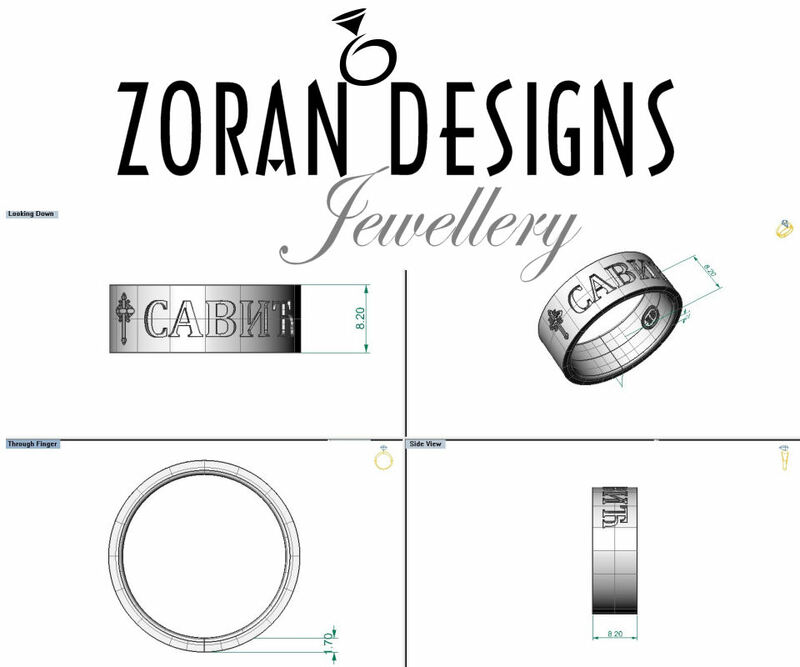 We are working on a new design for our Serbian jewellery collection and it's coming soon to our online shop! We have had many requests from our Serbian customers for something along these lines so we decided to create a template design that can be customized with your first or last name in Cyrillic letters. 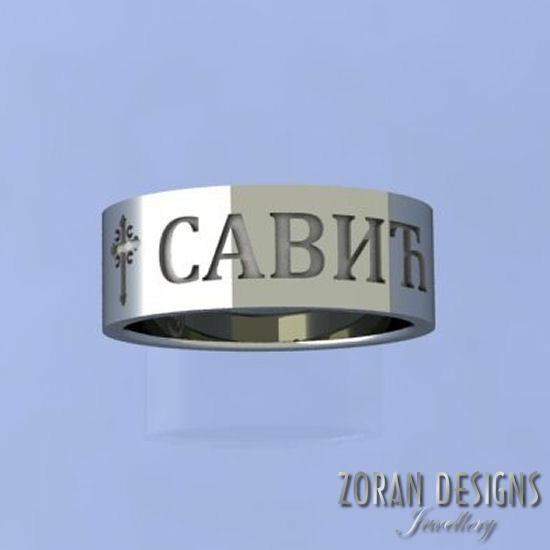 The new ring will feature a traditional Serbian Orthodox cross with the 4 Cs and your name recessed in bold, classic letters. The design is clean and contemporary with high polished surface contrasting against the textured, matte finish of the recessed portions. Though the ring has a masculine look overall, the 8 mm width band is also suitable for women who like this design. It will be made-to-order in yellow or white gold. We will offer actual photographs of the ring once it is ready but for now you can preview the technical drawing and renderings which are part of the custom design process. Use the form below to let us know if you would like to receive a notification email once this Serbian ring becomes available for online purchase.